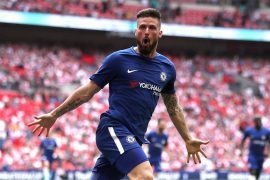 The contract of Chelsea striker Olivier Giroud is set to expire at the end of the season. The 32-year-old has played 18 Premier League games for the club this season, scoring one goal and providing four assists. The Frenchman is still arguably good enough to play for a club in one of Europe’s top five leagues. However, he is not good enough to lead the line for a club such as Chelsea, who aim to challenge for major silverware on a regular basis. 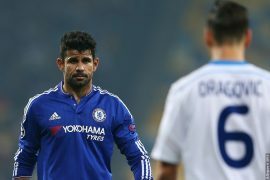 The Blues will need to find a replacement for the veteran at the end of the season in order to act as a second-choice forward and as cover and competition to the main striker. Instead of spending a huge amount on signing a new player, they should look at giving the duties to their own product Tammy Abraham, who is currently on loan with Championship club Aston Villa. The 21-year-old Abraham was integrated into the Blues first team back in 2016 but has only managed two Premier League appearances for them to date. He has had loan spells with the likes of Bristol City, Swansea City and now Villa. He has been a hit in the second tier this season, netting 17 goals from 22 appearances to date. This is not the first time that the England U-21 international has shone in the Championship. He spent the 2016-17 season on loan with second-tier side Bristol City and fired in 23 goals from 41 appearances. His successes with Bristol led to a Premier League opportunity with Swansea last term. This was less than successful as he went on to bag just five goals from 31 appearances as the Welsh outfit were relegated from the top flight. In Abraham’s defence, he is a young player and the Swans were also a team that lacked the cutting edge and which looked destined for the drop. The striker has shown signs that he could develop into a world-class forward in the years to come. Chelsea must not sell him this summer but instead look at giving him opportunities within the first-team next season.